I love phone cases, so I’m always looking for a new one that fits my outfits. 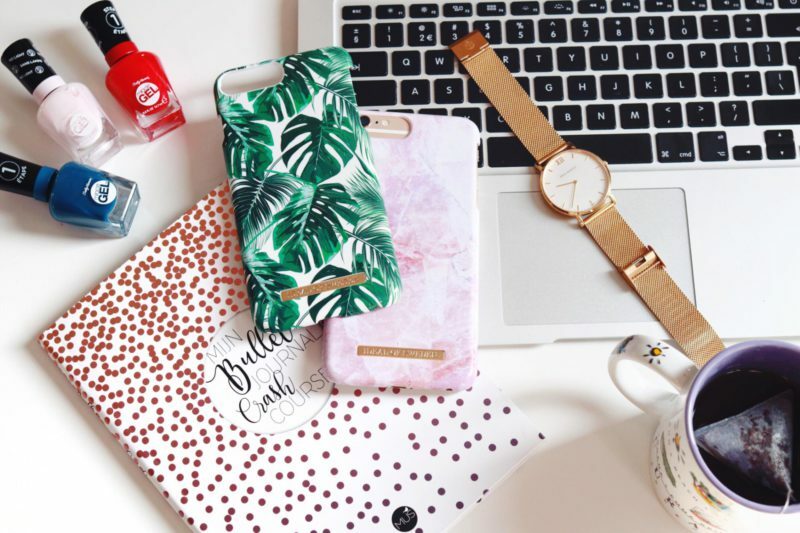 You probably also read that in the article ‘How to match your phone case with your outfit‘. 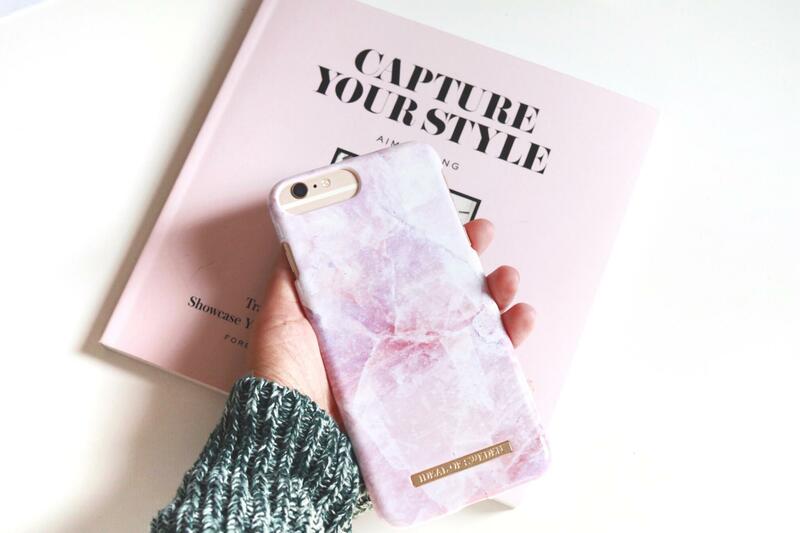 Then I had a gray marble phone case – trendy and good to match with your outfit – from Richmond and Finch. But now I have 2 super cute phone cases from Ideal of Sweden which is perfect my vacation in Thailand. iDeal of Sweden is also a Swedish company specialized in mobile phone accessories, and they are also a lot cheaper than Richmond and Finch. They design the products by themselves, with the inspiration they receive on fashion shows and the most recent catwalks. The products are made of Premium PU material, which is identical – but more durable – than real leather. Perfect for phone accessories that go through a lot of wear and tear. 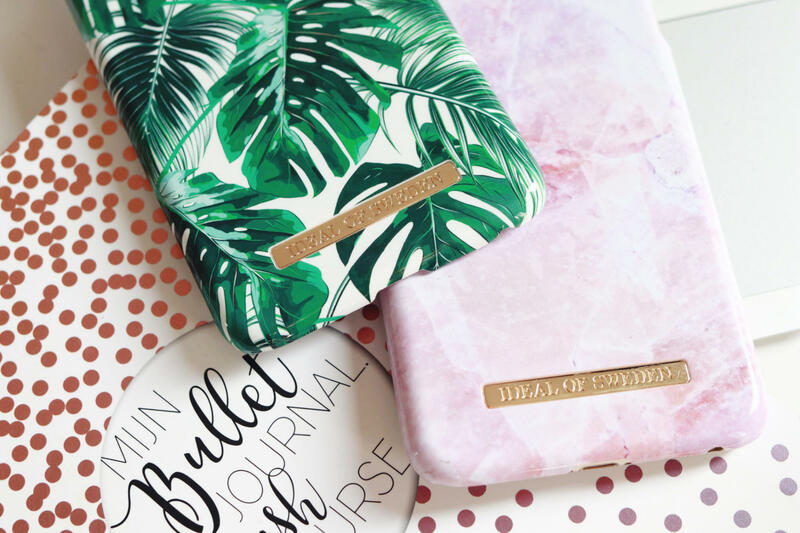 For my Iphone 6S Plus I have Monstera Jungle and the Pilion Pink Marble. The palm leaves of the Monstera Jungle, gives you soon a tropical vibe. Perfect for summer and holidays. Marble printouts are actually still fun! Because I’m crazy about pink I chose this colour. It cheers up everything and it’s a bit different from the standard colour marble. Both phone cases feature strong and durable plastic. The inside has a suede lining to prevent scratches. Enter here for the whole collection. Do you know the Ideal of Sweden phone cases? I’ve had my eye on one of these for the longest time, and this palm leaf case is stunning! Have you dropped your phone at all since you had one of the cases on?